Join us here at Rose Hill Baptist this Sunday, November 12th, from 9:45 am to 2:00 pm. We are featuring guest speaker Rev. Steve Levinson, a full-time creation speaker and gospel illusionist. Since 2004 he has traveled throughout the U.S. and several countries teaching the truth of creation. 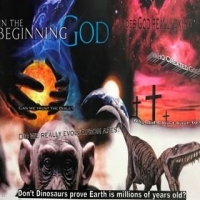 He teaches to unbelievers, and encourages believers, on how creation is true and evolution is not. You can check out his website at www.genesisseminars.org. We will not have Sunday School or an Evening Service on this day. We will be breaking for a free cooked meal and fellowship. Join us all in the Sanctuary at 9:45 am and be enlightened by Rev. Levinson's Creation Seminar. https://www.youtube.com/watch?v=fzQvdqgfcpk featuring Rev. Steve Levinson as Dr. Livingstone.